This page gives an overview of selected scientific publications of byteLAKE’s CTO Krzysztof Rojek and his colleagues. 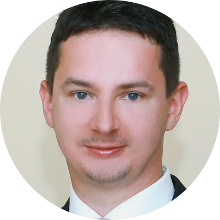 Krzysztof’s outstanding achievements have been recognized many times by scientific community when he gained his PhD and then got promoted to Doctor of Science (DSc, dr habilitowany). You can find out more in Google’s Scholar service here.